You are here: Home / News / The English Whisky Co. Unveils A New Look! 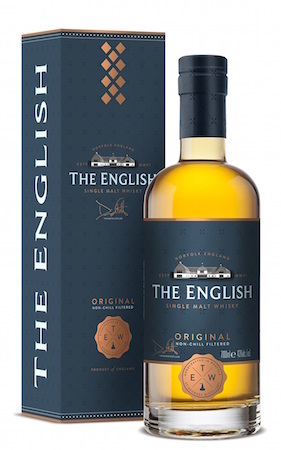 The English Whisky Co. Unveils A New Look! 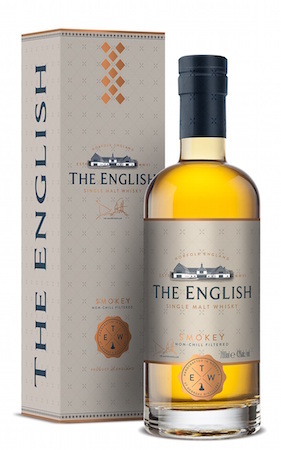 The English Whisky Co. – England’s first whisky distillery has unveiled striking new packaging and introduces ‘Original’ and ‘Smokey’ branded as The English. Having undergone an impressive re-design, the distillery has rebranded its ‘Classic’ and ‘The Peated’ expressions. The eye-catching new packaging emphasises the hand-crafted nature of the whisky, its Norfolk provenance and the English heritage which provided the inspiration for the new design. Award-winning design agency Breeze Creative was appointed to create the new look and feel for the brand which will eventually be rolled out across all packaging for the core range. Established in 2006, The English Whisky Co. is the home of England’s first and oldest distillery. Built by the Nelstrop family for the specific purpose of producing the very finest English malt whisky, the location is famed for its barley growing; the family have a 600-year tradition of growing and processing grain. We have invested a lot of time in rediscovering our distillery and our values. Much has changed in the world of whisky over the last decade and we now have a far stronger voice, relevance and sense of identity in our rebranded packaging. A gentle aroma with hints of vanilla and tropical fruits. Like a soft whipped vanilla ice cream. Melts on the palate. Slightly nutty with a long malty finish. Finish is clean, dry and slightly salty. A gentle aroma with hint of vanilla, aniseed and ginger, a creamy palate, a little peat initially and then the smoke bomb! Finish is long, spicy and smokey. 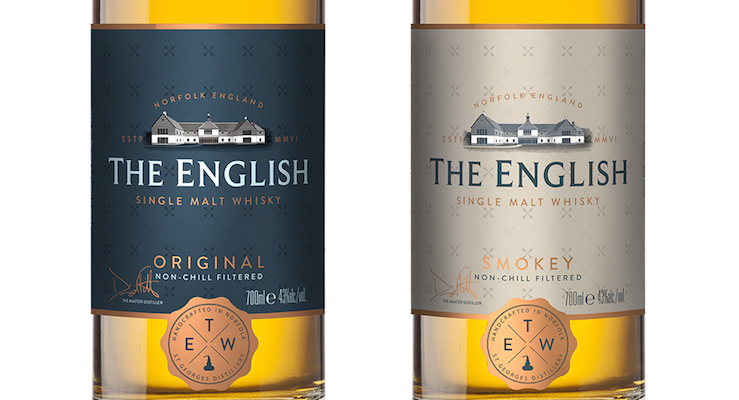 The English Original and Smokey are bottled at 43% ABV and are non-chill filtered. Priced at £34.99, both expressions will be available from specialist whisky retailers. Filed Under: News, The English Whisky Co.